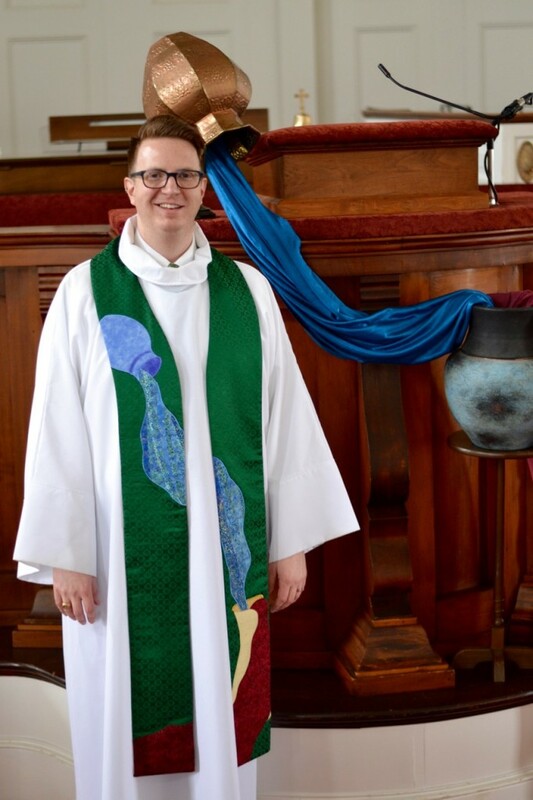 I’ve a confession to make: I LOVE STOLES. I have lots of them–nearly fifty. (I know. I’ve got a problem.) My dear husband, Greg, doesn’t help. For every gift-giving holiday, he’s got a new, custom stole up his sleeves. 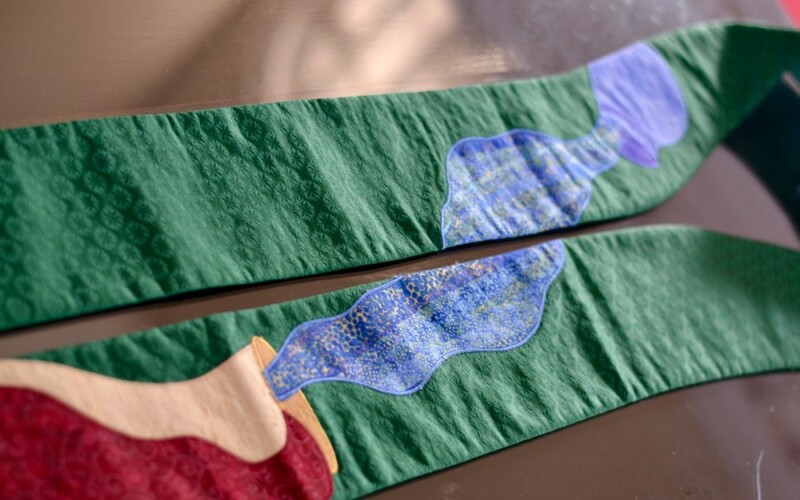 In fact, there are over 10 waiting in the wings since I last posted a New Stole Sunday in March of 2014! In May of 2015, Greg and I went on a 2 week adventure of a honeymoon in Rome. 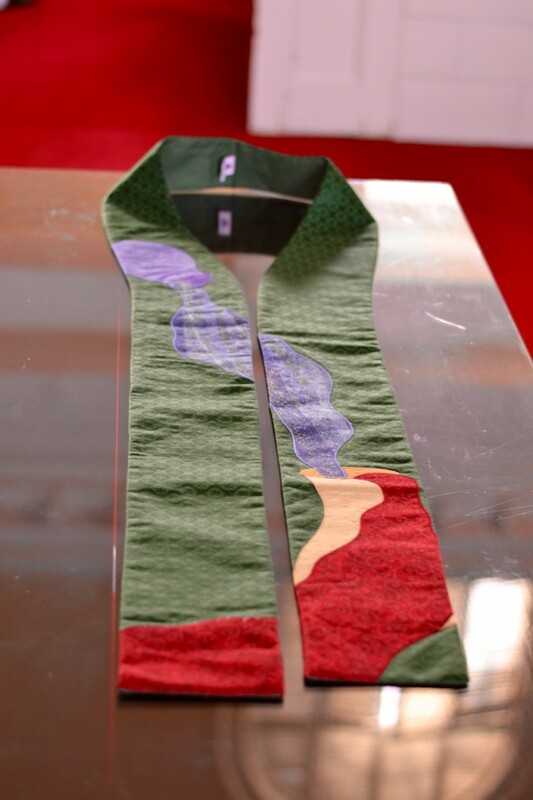 And of course, while we were there, we looked up a clergy vestment shop (like you do) to see what we could find. 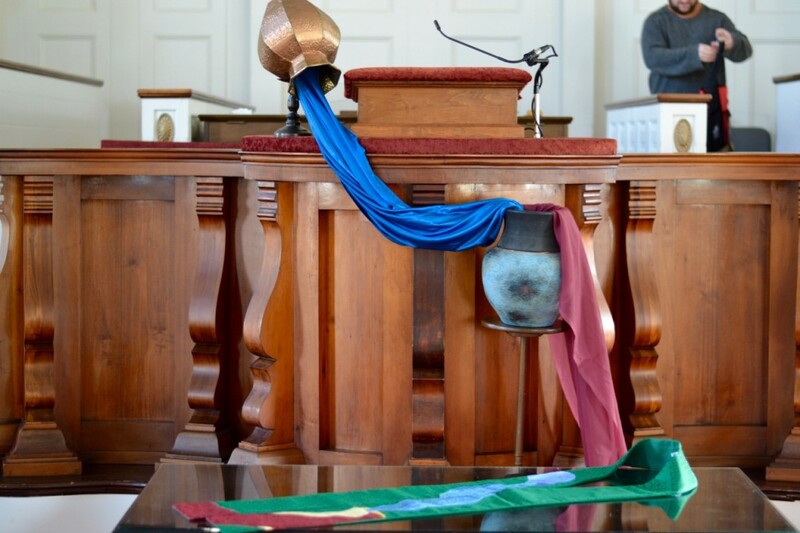 Turns out their vestments were super expensive (or we’re REALLY cheap). In any case, all we decided to take home was some fabric from the discount rack. (Y’all know how I am about fabric!) I’d all but forgotten it, when we opened Christmas presents after Westfield’s 9pm Christmas Eve service. Side note: Everyone knows Christmas gifts aren’t a competition. And EVERYONE hopes they give the best gift. This year was no different for us. 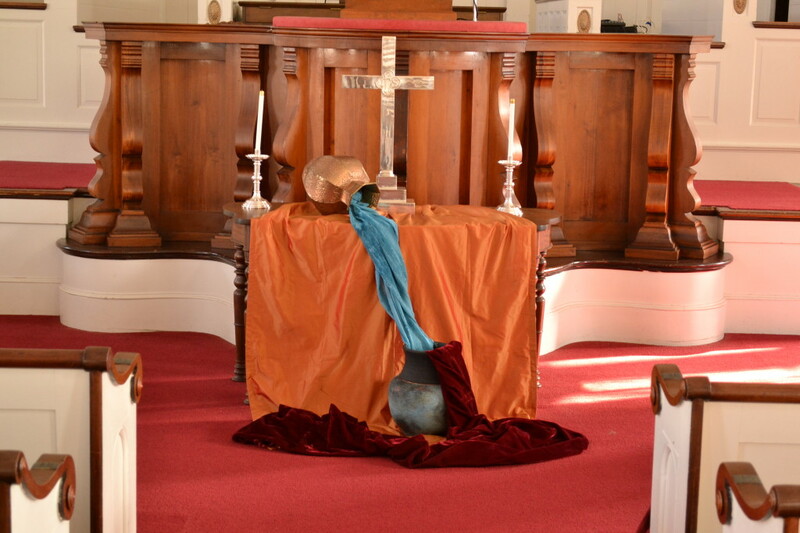 The stole finally got to make its debut because today’s lectionary reading was from John 2–some know it as the Wedding at Cana, others as the first of Jesus’ miracles: turning water into wine. I’ve got lots of lovely stoles. But this is the only one based on one of my creations. And that is how Greg won Christmas. Spectacular! Altarscape, stole and blog post alike! Thanks, Yori! He sure did!